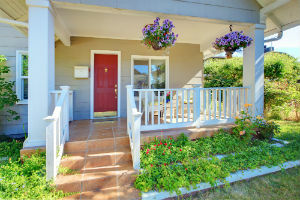 Porches, balconies and decks offer an enjoyable space for entertaining and mingling with friends. Individuals spending time outdoors on a balcony, porch or deck automatically assume that it is structurally sound and safe to support their weight. Deck collapse and porch collapse are very serious issues in Rhode island and Massachusetts and the injured victims need to seek the best Rhode Island and MA personal injury attorneys for legal assistance. However, if the porch collapses or the railing fails the end result can be catastrophic. This is because these types of Providence, Woonsocket, Central falls or Warwick accidents often cause serious injuries including head trauma, broken bones, spinal cord injury, disfigurement, torn ligaments and damage to internal organs. In some cases, a porch railing failure accident or collapsed porch or deck collapse can be fatal if the victim becomes covered under a massive amount of heavy debris or falls from a great height. If you, or a loved one, have suffered serious injuries in a porch collapse or failing porch railing, hiring the skills of a RI or MA premises liability attorney may help. By law, the property owner, manager and others in charge of maintaining the premises are legally bound to ensure everyone’s safety. This means the decks, balconies and porches must remain clear of obstacles and other debris. In addition, all supported structures must be properly designed to accommodate normal weight loads when the porch is used as it is designed. When a serious accident occurs in Rhode island or Mass., the victim seeking financial compensation through a claim or lawsuit must prove which parties are at fault for their injuries and losses. However, this is a complicated process that often requires the skills of a seasoned RI personal injury attorney who specializes in premises liability cases in Rhode island. The East Providence, Rhode Island lawyer must have a comprehensive understanding of civil procedure, the statute of limitations and filing a claim for recompense. “• 6/11/2012 Manchester, N.H.: Portable classroom trailers at five city schools were closed after children were injured when a wooden platform attached to a trailer collapsed at one school. • 5/2012 Churubusco, Ind. : A report of a collapse at a pre-prom gathering where 12 teenagers tumbled. • 9/20/2011 Castleton, Vt.: Seven Castleton State College students were injured when a deck holding revelers collapsed. These types of cases are handled on contingency, meaning the victim is not required to make an upfront payment for legal services. The personal injury law firm in Rhode Island handling the porch collapse case or lawsuit will be paid from a successful jury trial award or through a negotiated out of court settlement. Driving a motor vehicle is a privilege and not a right. 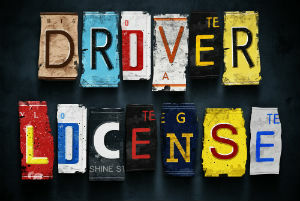 Driver’s licenses are issued to any individual who has reached the minimum age after passing both a written exam and road test conducted by a motor vehicle department specialist. Every motorist driving the highways, roadways and city streets is responsible for providing a safe environment for everyone around them including other drivers, passengers, truckers, bicyclists and pedestrians. Sadly, there are hundreds or uninsured or unlicensed motorists operating motor vehicles in Rhode Island and Providence Plantations. When an uninsured motorist operating an automobile, truck or other motor vehicle is at fault for a car accident in Rhode Island, an injured victim may receive no compensation or justice for their injuries resulting from the motor vehicle crash. However, if the victim had previously obtained uninsured motorist protection and such uninsured protection was in effect at the time of the collision then they may have legal recourse to be compensated for their pain and suffering, medical bills, lost wages and other injuries. The victim would need to pursue an uninsured motorist claim against their own insurance carrier seeking damages and a sense of justice. By law, every state requires drivers to be licensed while maintaining adequate liability coverage through an insurance policy on every vehicle they operate. Rhode Island is no exception to this. This means that every registered vehicle must be insured with minimum active coverage that has not had its policy lapse. • Other factors such as failure to file an accident report, leaving the scene of an accident with injury or death, failure to pay child support etc. Driving on a suspended license is a criminal infraction that could land the motorist in jail if there are too many infractions. Being involved in a motor vehicle accident in Rhode island while driving on a suspended license can be a legal nightmare for the motorist. In addition to receiving a criminal citation or an arrest, the driver might be financially liable for all damages, losses and injuries caused to all victims in the accident. If you were injured by an uninsured or under insured motorist in a motor vehicle accident in Rhode Island then you should contact a Rhode Island uninsured motorist accident lawyer. State law mandates that operating any vehicle without maintaining financial responsibility (insurance coverage) is against the law. Any motorist operating a vehicle without insurance likely faces a driver’s license suspension and financial fines. If the uninsured driver is involved in a motor vehicle accident, they will be required by law to produce proof of insurance at the scene. Any certificate of compliance (COC) provided by the insurance carrier is adequate proof as long as it shows coverage is in force on the date of the accident. Any failure to meet insurance requirements (not having insurance) when the accident occurs exposes the motorist to serious financial consequences. In all likelihood, the victims suffering injuries and damages caused by the negligent behavior of the uninsured motorist will file a lawsuit against them. Any victim who has suffered damages or physical injury as the result of negligence by an uninsured, unlicensed motorist can seek financial recourse through various legal means. However, these types of claims and lawsuits are difficult to litigate in front of a judge in civil court. Because of that, many individuals elect to hire a skilled Rhode Island personal injury attorney who specializes in uninsured motor vehicle accidents. A RI auto accident lawyer working on behalf of their client can seek financial compensation through uninsured motorist coverage on the victim’s policy. The amount of compensation through this coverage is limited by the policy’s benefits. Because of that, the attorneys can file a lawsuit to obtain additional compensation from the unlicensed, uninsured driver directly by holding them financially accountable for their negligence. Hiring an attorney makes sense. It eliminates most of the “guess work” of attempting to obtain recovery for injuries suffered in an accident caused by another. The lawyer will investigate the causes of the accident, evaluate insurance information and build a case to prove how the other uninsured, unlicensed driver is legally responsible for all damages. An experienced RI personal injury law firm can research every alternative way to obtain financial compensation when the other motorist involved in the accident was driving on a suspended license and without insurance. Legal Notice per Rhode Island Rules of Professional Responsibility: The RI Supreme Court sitting in the capital city of Providence licenses all lawyers and attorneys in the general practice of law, but does not license or certify any lawyer / attorney as an expert or specialist in any field of practice including personal injury, wrongful death and car accident. While this firm maintains joint responsibility, most cases of this type are referred to other attorneys for principle responsibility. Nearly one out of every four vehicle related fatalities occurring nationwide involve vehicle rollover accidents, claiming the lives of approximately 10,000 individuals every year. Survivors of a rollover crash in Rhode Island and across the united States often suffer catastrophic injuries and lifelong disabilities including quadriplegia, paraplegia and traumatic brain injuries. Often times, the vehicle occupants are ejected from inside and suffer additional injuries or death. • Buckle up – The safest place and occupant can be when involved in a serious rollover accident in Rhode Island is to remain inside the vehicle throughout the event. Nearly 3 out of every four individuals involved in rollover accidents are killed because they were ejected from the vehicle. • Check the Tires – Properly inflated tires in good shape help maintain traction on the roadway to overcome slippery surfaces, quick turns and road hazards. Inflate the tire pressure as recommended by the car’s manufacturer. • Drive a New Vehicle – The national Highway traffic safety administration statistics indicate new vehicles involved in accidents produce fewer fatalities than old cars and trucks. Most likely, ESC technology (electronic stability control) on new vehicles helps stabilize steering during difficult maneuvers and bad road conditions. In addition, new vehicles have better design and stricter government testing to increase safety. • Never Overload the Vehicle – Vehicles with heavier weight than their design suffered decrease stability on the roadway. Pickup trucks and SUVs tend to be more dangerous to operate when loaded then when empty. To increase stability, evenly distribute heavy cargo by positioning it near the center the vehicle and low to the floor. • Check Your Speed – Operating the vehicle at a faster speed increases its potential of being involved in a rollover. In fact, excessive speed is involved in approximately four out of every 10 fatal vehicle rollover accidents. • Increase Your Awareness – undivided highways and rural roads without barriers contribute to the potential of a rollover accident, especially when vehicles are traveling 55 miles an hour or greater. When driving in these areas, increase your awareness and lower your speed to minimize the potential of rolling over. • Avoid Panic Reactions – Quick reactions or panic movements tend to cause a steering overcorrection. When this maneuver happens at high speed, it easily increases the potential of a rollover. If leaving the road unexpectedly is unavoidable, gradually reduce the vehicles speed before slowly easing back up onto the road. • Avoid Distractions – Before leaving for your destination, it is imperative to turn off all devices inside the vehicle that could distract you from driving. Turn off smart phones and tablets or set the ringer to vibrate until a vehicle arrives at its destination. If using GPS navigation, input the information before leaving to avoid being distracted while moving. Driving your vehicle takes focus and concentration. It is imperative to watch the roadway to drive defensively and safely. Staying active behind the wheel keeps you, passengers in the vehicle out of trouble and minimizes the potential of being involved in a rollover. 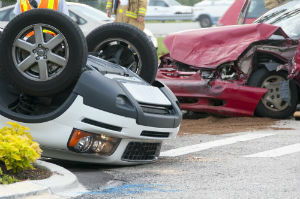 If you have suffered serious injuries in a Providence Rhode Island vehicle or car accident involved in a rollover, is essential to contact a reputable Rhode Island personal injury attorney experiencing handling these complex legal cases. Rollover vehicle accident claims and lawsuits in Providence Superior Court are usually accepted on contingency and all legal out of pocket costs are paid through a jury award or out of court settlement. Reputable RI law firms will offer a free initial consultation to provide answers to questions concerning your claim. An aggressive Rhode Island car accident attorney working on your behalf will ensure you receive the compensation you deserve. Recreational boating has become an increasingly popular activity at sea, on rivers and in lakes. Boaters enjoy water sports, fishing and time in the open air. However, many boaters in Rhode Island are inexperienced at navigating waterways or are confused of the many laws, rules and regulations governing safe boating behaviors. Because of that, there has been a significant rise in the number of boating accidents in Rhode Island. If you were injured in a boat accident in Rhode Island (including Newport, Tiverton, East Greenwich, Portsmouth, Providence) call one of the best Rhode Island personal injury lawyers. Like the nation’s highways, many vessels on our country waterways and open waters encounter boaters impaired by alcohol and drugs causing many drunk boat accidents with injuries and fatalities. Operating a vessel in Rhode Island (RI) while impaired is a serious crime, just like drunk driving an automobile. In many incidences, innocent victims suffer catastrophic injuries because of the drunken, reckless and negligent behavior of others on the water. The operators or captains of motor boats, charter fishing vessels, sailboats or other watercrafts are given absolute responsibility to keep every on board passenger safe from harm. Boaters in Rhode Island, just like motorists on the highway, are not allowed to operate any water vessel with a blood-alcohol level of .08 or higher. When caught, a drunken boater can be arrested for intoxication and charged with BWI (boating while intoxicated). 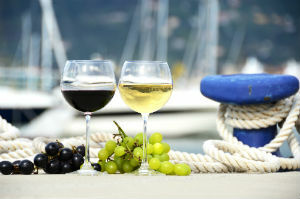 In addition, the boater is legally responsible for the drunk boat accident caused by their alcohol use and negligence. Statistics maintained by the U.S. Coast Guard indicate that alcohol remains a leading cause of many fatal boat accidents. The data suggest that one out of every six wrongful deaths involving boats is associated with alcohol. The statistics also show that the most common vessels associated with boat accidents include cabin motorboats, personal watercraft, open motorboats and speedboats. To obtain compensation from every party at fault, the victim must substantiate their claim by proving how others caused the accident. However, the aftermath of most drunk boat accidents are traumatic. Holding those legally responsible usually requires the skills of a competent Rhode Island personal injury attorney with comprehensive experience in boating and maritime laws. Hiring a RI boating crash lawyer is beneficial. The Tiverton, Middletown or Barrington law firm can gather evidence from the crash and determine if the other driver was impaired, their level of intoxication, and amount of responsibility for causing the accident with injuries. If the level of intoxication of the boater does not surpass legal limits, a competent Rhode Island boat accident attorney can determine if the operator was distracted or acting recklessly by not following right-of-way rules, waterway traffic lanes or posted speed limits. If a spouse, loved one, sibling, brother, sister, parent or loved one was killed as a result of a fatal motorboat accident or fatal boat collision then you should seek a RI wrongful death lawyer. Preferably, your Rhode Island wrongful death attorney will have experience in deadly boating crashes. A skilled RI Injury attorney will file all necessary paperwork before the statute of limitations expires. The law firm can calculate all accident-related expenses generated now and required in the future. This is important because most drunken boating accidents in Rhode Island produce lifelong effects on the victim’s financial, physical and emotional well-being. If a drunken boater has injured you, or a loved one, you are likely experiencing irreparable damage to your life and livelihood. An aggressive RI boating crash victim’s attorney can assist you in resolving your claim forcompensation to ensure you receive the amount of compensation you deserve. When you have been involved in a Rhode island or Massachusetts incident that involves injuries such as a car wreck, a personal injury lawsuit may be the best recourse for seeing justice served. Keep in mind that accepting a motor vehicle crash settlement from an insurance company cancels your right to sue. This is because the insurance adjuster will require a release waiving your rights to pursue compensation as a result of the RI motor vehicle accident. This means that even the best personal injury attorney in Rhode Island could not bail you out of a bad decision to accept pennies on the dollar for your negligence cause of action. Speak with a Rhode island and Providence Plantations automobile collision personal injury attorney before you agree to settle any insurance claim. This tort law post will help you to know the basics of a personal injury lawsuit to illustrate why a East providence truck or motorcycle accident attorney is so important. • Negligence – This is the most common type, and is used to address a situation when someone causes you harm by failing to follow safe procedures, acting carelessly or failure to utilize due care. Auto accidents, bike crashes, semi- truck collisions and slip-and-fall injuries are two common examples of negligence injury tort claims. • Intentional Tort – This type of claim is brought against someone who intentionally causes harm or injury. If you are physically attacked, that would be grounds for an intentional tort lawsuit. Strict Liability is when the party who causes you harm did not act negligently, recklessly or intentionally, but still can be held responsibility for the injuries in Providence Superior Court. 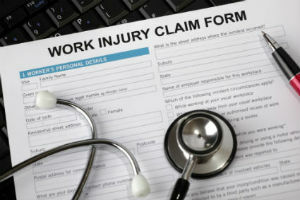 Most personal injury lawsuits must be filed in the state where the incident occurred or in a state that is connected to the defendant. An automobile accident suit is usually filed in the state where the accident happened, but may be filed in the state where the owner of the at fault vehicle resides. Similarly, a slip and fall suit might be filed in the state where the accident happened, or it may be tried in the state where the company maintains a primary office. A personal injury lawyer in Rhode island is a huge benefit in deciding where to file. Anyone who feels they have been wrongfully injured has a right to seek legal recourse. Once the decision has been made, you must file suit within a specified period of time from when the injuries occurred. This is called a statute of limitations. One reason it is important to have a Providence premises liability or car accident lawyer in your corner is to have someone on your team who knows the legal requirements and can help you get the paperwork done on time. Insurance companies will always attempt to keep the cost of an incident to a minimum level. When injuries are involved, those costs may continue for years, which is why quickly settling a claim with the insurance company could result in insufficient funds to handle the long term implications. Your Warwick, Cranston or Woonsocket lawyer will work to get you the full amount that you deserve, and is willing to take on the other person’s insurance company to get it for you. One reason many people with solid legal claims do not file suit is because they are afraid of investing large amounts of time in the Providence Superior Court battle. 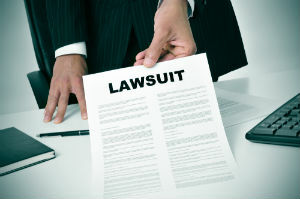 The fact is, the vast majority of personal injury lawsuits are settled out of court. In practice, a single consultation with a RI personal injury attorney will often be enough to let them know whether the case has sufficient merit. If it does, the Rhode Island auto accident attorney will take your case for no initial cost, applying all expenses and billing to the final settlement. If you do not win the case, the attorney does not get paid, so they have a lot riding on resolving your case in a satisfactory manner. 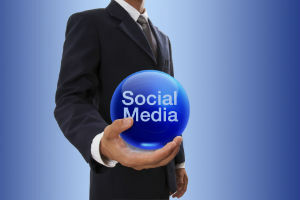 Many people use online social media sites including Facebook, Twitter, LinkedIn and others to stay connected with associates, family and friends. Many individuals update their social network site including their profile and status on a daily basis. Online social media websites are a vast collection of personal and professional information that is available to nearly anyone with an Internet connection and a social media account. While this media provides many benefits including reconnecting a long-lost friends, as a marketing tool or to network, it also poses potential dangers during Rhode Island personal injury litigation. There are significant pitfalls to using Facebook, Twitter and other social media sites during Providence Superior Court personal injury litigation. When you adopt a social network site as a personal outlet, it can be acquired during routine discovery. The information can be entered into evidence as an effective strategic and tactical litigation tool to destroy your reputation and character. Because of that, Rhode Island attorneys that handle personal injury litigation and RI car accident claims will often advise their client to avoid or be careful using social network sites during the entire negligence litigation process. In addition to posting photos and updated status being especially harmful when seeking a personal injury claim for compensation, a “Liked” location or activity can provide opposing counsel guarded insight into your personal life. Providence Personal injury attorneys will often discuss the dangers of using social network sites long before sending a demand letter or filing a complaint. As a part of the initial process of evaluating a claim, RI slip and fall lawyers often advise clients to enable their private settings in each social media account. Changing the setting to completely “private” can offer protection of personal information and prevent it from being seen by others. In addition, it can make it more challenging for opposing counsel to gather the information through informal discovery when taking depositions, issuing subpoenas and gathering evidence through interrogatories and document requests. Deleting or modifying any existing posted social media activity at any stage of personal injury litigation is off-limits. This is because as a litigant in an active personal injury case, you are obligated to preserve any relevant evidence that you know, or reasonably suspect, will be requested by the other side. Any alteration or deletion of social media information would breach your legal obligation and may be considered a crime. Avoiding any alteration or deletion of social media information early on can prevent a costly and difficult process of having it retrieved. Rhode Island Personal injury attorneys and Warwick car crash lawyers will often have their client to notify family and friends of the potential dangers of posted social media. This is because Rhode island personal injury attorneys representing the defendant in a personal injury case will often seek additional information on you by viewing profiles and data posted on the social media sites of your closest friends and family members. It is essential to warn everyone you spend time with to avoid posting photographs or public updates about you and themselves until the conclusion of your personal injury litigation. In many incidences, lawyers and insurance company claims adjusters utilize social media network sites to build a challenging defense of a filed claim for compensation. In many incidences, they will comb through Twitter, Facebook and other sites searching for evidence that can be used against you or cast doubt on your credibility. Protecting your rights and legal options after filing a claim for compensation for your East providence automobile accident claim is essential to a successful outcome. Avoiding any type of online post on your site or the side of family members and friends is crucial to minimize the potential of having the information used against you during an out-of-court settlement negotiation or when presenting the evidence at trial. When you or a loved one has been a victim of negligence causing a slip and fall accident in Rhode Island, you may try to seek justice for this accident through a lawsuit. You will have to prove your injuries and that your injuries were caused by the mishap. In some situations, it is enough to prove that a preexisting condition was exacerbated as a result of the fall. You will have to prove your case to a judge and jury and have them rule in your favor to win. In many circumstances, the insurance company will attempt to settle the RI premises liability cause of action out of court. If you were injured in a slip and fall incident in Rhode Island then you should contact one of the best Rhode Island slip and fall attorneys. Also visit this website What are the steps to prove to win your Providence Superior Court slip and fall injury claim? Today we will be covering what must be proved. A property owner in Rhode Island should always be aware of trying to make his property accident free. Property owners must take reasonable steps to ensure their property is free from dangerous conditions that could cause a person to slip and fall. 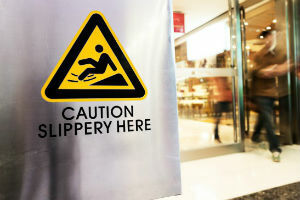 However, visitors , customers and guests must also be careful and aware of their surroundings so that they avoid a slip down and fall on a property. The Rhode Island property owner or his staff should have known about the the state of the area because another reasonable individual in their place would have known about that specific area and tried to fix it or put a warning up while it was trying to be fixed. The property owner did know about the dangerous condition, but showed negligence and didn’t make any effort to fix it in a reasonable amount of time. The property owner or their employees caused the dangerous, problematic area by the means of a spill, broken floor, leak or another method. Many non commercial property owners, are slip shod and reckless about the maintenance of their properties. Nonetheless, the property owner or maintenance company will typically deny liability asserting that they acted reasonably and that they they were not aware of the defective or dangerous condition on their property. When you present, your evidence to show how a property owner is liable for the injuries sustained when you slipped and fell you will have to show how the property owner was negligent in their actions. Your Rhode Island slip and fall lawyer will have to prove how a reasonable person should have acted in that situation. A Providence County Superior Court jury would decide if the defendant had acted as a reasonable person in light of the facts and circumstances of the negligence case. To help your RI personal injury attorneys win your Rhode Island premises liability claim, you might want to help your East providence Tort attorney with some of the following facts about your case and the property owner. Did your slip and fall accident involve tripping over something that was left on the floor that should not have been there? What kinds of cleaning activities did the property owner engage in and how often did occur? Is there proof to help support your claim? If someone was with you, did they see where you slipped? If so, did they see anything on the floor, did they have any pictures possibly on a cell phone or tablet? Do you have any other witnesses? If the slip and fall were caused by a leak in the roof, did the property owner allow a normal amount of time before being fixed or was it left in its condition for days, weeks or months? Were you being careful and watching out for your surroundings or were you comparatively negligent? If you want to prove your Warwick, Cranston or Woonsocket RI slip and fall case and win, you need to have proof that a property owner was not reasonable within the terms of that definition. You want to have a good Rhode Island slip and fall attorney who is on your side who takes into account all the proof and proves to the jury and judge that a property owner was negligent. 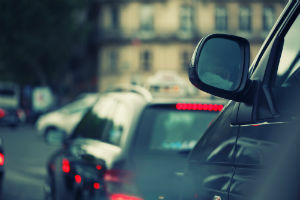 Rear end accidents do not just cause extensive property damage to the vehicles colliding each other, but also often involve catastrophic injuries and death. Rear impact car and truck collisions in Rhode Island are often the result of motor vehicles following too close behind and not providing adequate distance to stop safely under normal or unusual conditions. The National Highway Traffic Safety Administration (NHTSA) indicates that more than 2.5 million collisions involving a rear end impact occur every year. As a result, hundreds of thousands of motorists and passengers are injured or killed from their injuries obtained in the accident. In all likelihood, the number of rear impact accidents in Rhode island and Providence Plantations are likely to rise because of the increased incidences of distracted driving when motorists send text messages, texting while driving, speak on cell phones or read emails while driving. Rear end impact collisions in RI are a leading reason for serious automobile accidents were a vehicle collides into the back of the car ahead. In many incidences, drivers and passengers in the lead car suffer serious injury to their neck, head, and spine. In fact, rear end collisions in Rhode Island cause the majority of whiplash injuries when there is a sudden jolt. In nearly every situation in Rhode Island, the driver behind the lead car is entirely at fault for the RI crash / accident / collision. However, there are situations where the lead vehicle might be traveling at a speed too slow for the roadway or the lead driver is intoxicated at the time of the accident. In some very limited situations, the motorist in the lead car could be partially at fault for negligent driving because of an inexplicable sudden stop that provided no warning to others on approach. “The Federal Motor Carrier Safety Administration (FMCSA) has given high priority to research regarding collisions between large trucks (gross vehicle weight > 4,540 kilograms (10,000 pounds)) and other vehicles on the roadway. This research aims to improve knowledge about the high-risk behaviors of truck and passenger vehicle (car) drivers. In 1998, large trucks accounted for 7 percent of the total vehicle miles traveled but were involved in 13 percent of all traffic fatalities (5,374 of 41,471). In these truck crashes, the car’s occupants were much more likely than the truck driver to be killed (78 percent of the fatalities were car occupants) or injured (76 percent of the injuries were sustained by car occupants). Two-thirds of all police-reported truck crashes involved a truck and another vehicle, and 60 percent of all truck crashes involving a fatality were two-vehicle car-truck crashes. ” Federal Highway Administration Research and Technology Coordinating, Developing, and Delivering Highway Transportation Innovations Publication Number: FHWA-HRT-04-085 Date: July 2004 This research was conducted under the HSIS project by F.M. Council and D.L. Harkey of the University of North Carolina (UNC) Highway Safety Research Center, D.T. Nabors of BMI, A.J. Khattak of the UNC Department of City and Regional Planning, and Y.M. Mohamedshah of LENDIS. The full report, Examination of ‘Fault,’ ‘Unsafe Driving Acts,’ and ‘Total Harm’ in Car-Truck Collisions, can be found in Transportation Research Record 1830 (TRB, 2003). For more information about HSIS, contact Carol Tan, HSIS Program Manager, HRDS, 202–493–3315, carol.tan@fhwa.dot.gov. With Rhode Island legal representation, the victim can easily deal with insurance companies and prepare a claim for compensation. In most situations, settlements obtained by RI auto accident attorneys are negotiated at a higher amount than when the victim handles their case on their own. When it has been determined what party is at fault whether it is caused by a panic stop or tailgating, all responsible parties are duty bound to pay compensation. As a result, automobile accident victims will often file a claim or lawsuit for damages. The amount of compensation the victim receives is usually based on the severity of their injuries and the extent of property damage. However, rear end collisions caused by tailgating in Rhode Island typically cause significant injury. A skilled RI auto collision attorney can ensure that the victim’s rights are protected while building a strong case for compensation. 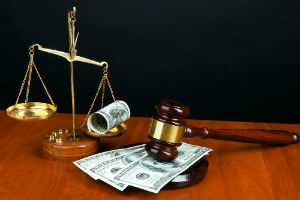 The East providence law firm will seek compensation to cover economic (tangible) and non-economic (intangible) damages. Most Providence, Riverside and Rumford RI personal injury cases are accepted on contingency as a way to provide legal representation without the need of paying any upfront fees. In the event that the RI motor vehicle accident lawyer is unable to obtain compensation, the victim owes nothing for legal services provided in the case. Often times, accidents in Rhode Island are caused by reckless drivers result in catastrophic injuries or fatalities. This is because irresponsible drivers in RI negligently and deliberately disregard the safety and well-being of others. Under tort law in Rhode Island, individuals injured in a reckless driving accident are usually entitled to seek financial compensation through a Providence Superior Court personal injury claim or lawsuit. Reckless drivers can also be charged with criminal offenses in Rhode Island as a result of their absurd actions. Any activity the driver performs that diverts their attention from the task of driving is considered a form of reckless disregard of others. Statistics maintained by the National Highway Traffic Safety Administration (NHTSA) indicate that one out of every three deaths across the nation’s highways can be attributed to speeding and reckless driving. Regardless of what type of reckless behavior the driver performs, they made a conscious choice to drive irresponsibly. Reckless driving behaviors threaten the lives and safety of other motorists, passengers, bicyclists and especially pedestrians in Rhode Island and Providence Plantations sharing the roadway and crosswalks. Any individual walking near or in a crosswalk in RI can be particularly vulnerable to injury as a result of a collisionwhen a reckless driver acts irresponsibly. Driving a motor vehicle or car aggressively or recklessly is a conscious act of willful disregard for any consequence suffered by others. In many cases, motorist driving recklessly in Rhode Island will cause personal injuries, property damage and death. Victims in RI have the legal right to seek financial compensation to cover a variety of expenses including hospitalization and medical costs, the loss of income, property damage, therapy and rehabilitation, disability, disfigurement, scarring and wrongful death. No two truck accidents or automobile accidents in RI involving reckless behavior in a moving vehicle are alike. State tort law concerning a claim for compensation filed against a reckless driver is complex as is civil procedure, rules and regulations used in court. Because of that, many victims of a vehicle accident involving reckless driving in Providence, East providence, Cranston and Warwick will hire a RI personal injury attorney with years of experience in handling these types of claims and suits. A reputable RI law firm can ensure that all parties at fault for the accident are held accountable for their neglect and intentional disregard. In addition to holding the driver liable, the Rhode Island reckless driving victim’s personal injury lawyer / attorney may be able to file a claim against additional parties that also have some responsibility for the accident. Every party at fault for the accident with injuries can be liable to pay financial compensation to the victims. This is especially true if alcohol is involved, where others served the reckless driver alcohol prior to causing the accident. Accidents that happen by reckless driving never happen accidentally. If you have suffered injuries at the hands of another, it is essential to contact a Providence personal injury attorney who specializes in vehicle and car accidents. Most vehicle and auto accident law firms accept cases on contingency, which means you will not pay any legal fees until your attorney recovers financial compensation from your claim or lawsuit. Hire a RI car crash attorney now before the statute of limitations concerning your claim expires. Slepkow Slepkow & Associates Inc.